The Move were the band that came before Electric Light Orchestra. Quite literally, they transitioned into ELO. Not everything here is prog rock, but there is enough to qualify, particularly with that ELO connection. This is a cool new reissue. It’s a double disc set with the first disc a re-master of the actual album and the second a lot of rarities. It comes with some great packaging, fold out booklet and another nice booklet, too. This is highly recommended as far as I’m concerned. The guitar sound on this is heavy and crunchy. The vocals and other elements lend both a psychedelic and space rock texture. This is definitely proto-prog. It’s also very cool. The instrumental section is mellower. It’s also a bit trippy with a lot of psychedelia and prog rock in the mix. Much more of a straight ahead hard rocker, in a bit different arrangement it wouldn’t be hard to imagine ELO doing this tune. It’s hard edged and psychedelically tinged. It’s also classy stuff. This is one of the most decidedly prog and complex pieces here. It’s got some definite psychedelia built into it, too. Yet, all that stuff taken into consideration, it still rocks like crazy. The vocal arrangement is tastefully strange and the whole thing is just a bit weird, but in a very cool way. The closing movement is quite classical in nature while still managing to be rock music. There seems to be a bit of Little Richard built into this rocker. It has a real soulful vibe, but a lot of late 60s rock and roll, too. It’s a pretty mainstream rocker, but still has some intriguing twists to it. I dig the piano solo. The instrumental section later takes it into more proggy territory and includes some more piano soloing. There is an odd bit of psychedelic weirdness (and some doo-wop) at the end. The opening riff on this makes me think of The Stones a bit. The band work out from there into some cool psychedelic territory. This is a cool 60s styled tune. It even has a sitar section at the end. Piano and finger-popping serve as the backdrop for doo-wop vocals. Piano controls the later parts of the song. This rocker gets a little different take. It’s not really all that different, though. Well, to me the second part seems quite a bit different. 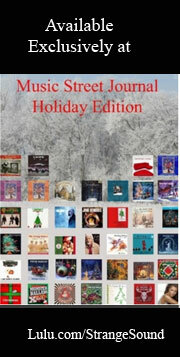 It has some great expansive jamming. The weirdness at the end seems different, too. This edited version somehow feels very much like a glam rock take on The Beatles. I think I might actually like this version better than the one that landed on the album proper. This is more of a mainstream blues rocker here. It works well that way. The ELO reference is definitely less pronounced here. Perhaps this feels more like Cheap Trick. This is the Move covering The Beatles. There’s some rather annoying announcer stuff at the beginning. That includes the introduction of new singer Jeff Lynne, though. This is a cool performance that works well. Truth in advertising this is an interview. Here we get a different take on the song from the main album. This is a bit on the raw side, but tastefully. It’s almost Cheap Trick meets The Beatles in a lot of ways. Introduced by the announcer as a Jeff Lynne penned tune, this is a cool psychedelic rocker. It has some good changes to it. It’s definitely one that has a lot of that ELO kind of vibe. With the announcer at the beginning again, this is a straight-ahead rocker as delivered here. It’s another strong tune. It’s very psychedelic in texture. Again we get the announcer here. This rocking cut gets a solid rendition here. I dig the slide guitar on this. It’s more on the raw side than the version on the album. It’s packed with energy and style, though. This interview talks about the transition from The Move to Electric Light Orchestra. 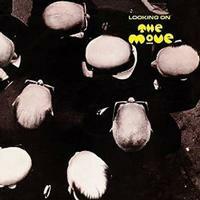 The Move again hit the Beatles cover. This version isn’t drastically different from the other take on the cut.